This unique manual shows what the medical record must contain for correct coding and billing of specific medical and diagnostic services and procedures. It provides coders and anyone concerned about coding with an auditor’s perspective on the clinical detail, regulatory instructions, and coding protocol needed for code assignment. Avoid the devastating effects of outside audits and reviews with this detailed coding tool. Optum360 Edge—Get online access to customizable auditworksheets.Protect your revenue critical services and procedures. Conduct skilledinternal audits. Ensure proper reimbursement. 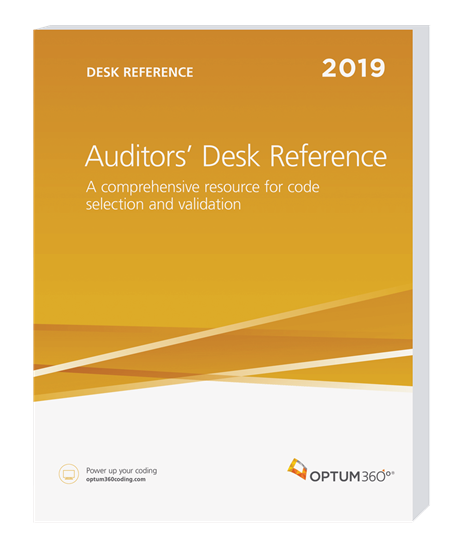 Provides coders with an auditor’s perspective. Know the clinical detail, regulatory instructions, and coding protocol needed for code assignment, by individual code and code groupings.